Looking to buy a memory foam mattress but don’t know which one is the best for you? Join us today as we review and compare the best mattresses across Australia for 2019! If you would like to check out how these brands compared against one another, have a look at our Australia mattress in a box review for 2019. Also based in Melbourne, Ecosa offers the largest variety of mattress size options on this list, the Ecosa G-7 Memory Foam Mattress has a fit for all. Prices have the current promotion applied. This memory foam mattress is quite customisable. Changing the firmness option of your mattress is pretty simple. All you need to do is flip the layers over. 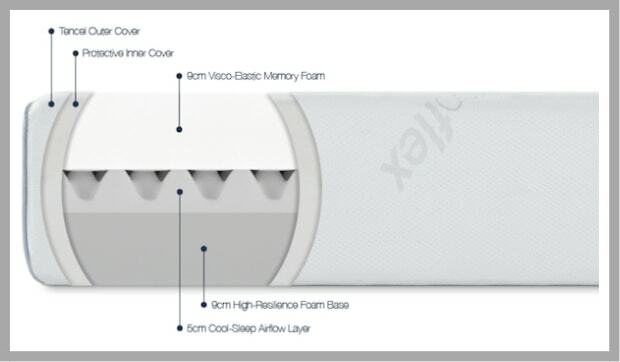 The memory foam mattress also includes an inner waterproof cover made from German micro-filaments. Making it dust mite-free and great for kids who wet the bed or for those who spill things from time to time. The mattress cover can also be removed and machine washed as required. 70% of Ecosa customers say their back pain has reduced after sleeping on the mattress. The ergonomic design of the mattress supports the back and assists with spine alignment. You’ll further benefit from the mattress’s ECO-Tex memory foam comfort layer. Designed to increase the durability and breathability of the mattress. Their memory foam mattresses have been proven to be free from harmful levels of over 100 substances known to negatively impact human health. The Noa Sleep Hybrid Mattress is a premium quality mattress at a super affordable price. This medium-firm mattress is suited for a range of sleeping positions and body types. 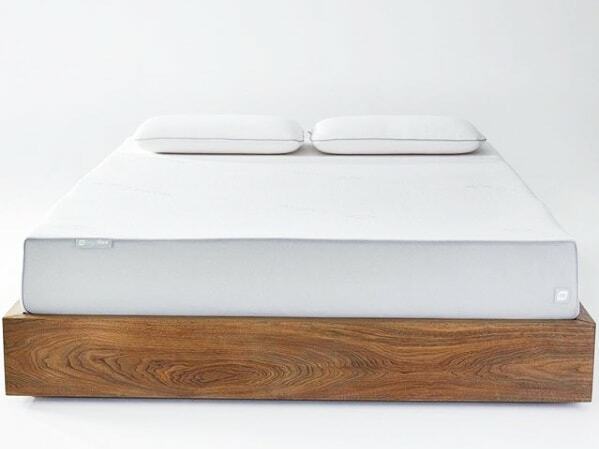 The mattress consists of a range of layers and features including gel infused memory foam, an internal pocket spring system and open-cell natural latex. Providing sleepers with a cool and supportive night sleep. Components of their mattress are OEKO-TEX and REACH certified. Attaining these certifications means Noa Sleep has put in the time and effort to ensure their mattresses are produced in an environmentally friendly way. Furthermore, they are free from a range of substances known to be harmful to human health. We believe you get the best bang for your buck when you shop with Noa Sleep. 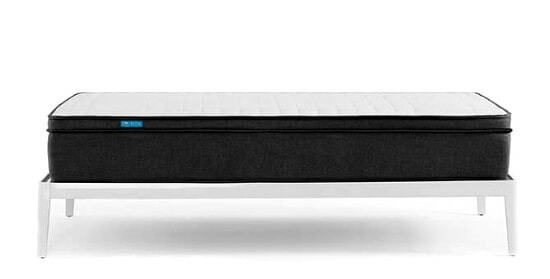 One of the most customisable mattresses on this list is the Sleeping Duck Pro. Based in Melbourne, this is Sleeping Duck’s top of the range mattress. If you’re looking for the crème de la crème of mattress customisation then look no further. This hybrid mattress takes it to another level, when it comes to offering customers with mattress customisation. Making it suitable for all types of sleepers. If you want a firm firmness for your lower back and a medium firmness for your shoulders, you can. You are also able to customise the mattress per side of the bed. You can adjust the firmness on your side of the mattress to medium whilst the other side can be firm. You’ll be sleeping like a duck in no time. And if you’d like to adjust the firmness of your mattress, you can free of charge during the 100 night trial period. But all this super customisation comes at a price. The mattress also comes with a removable washable cover ​​​​​making it easy to clean. If you'd like to try the mattress, Sleeping Duck has showrooms in Melbourne and Sydney. Last but not least, the foams within the mattress are GECA (Good Environmental Choice Australia) certified. Meaning the production of these mattresses meet Australia’s rigours standards, with production having minimal impact on the environment. We find Sleeping Duck’s highly customisable memory foam mattress pretty Quacktastic. 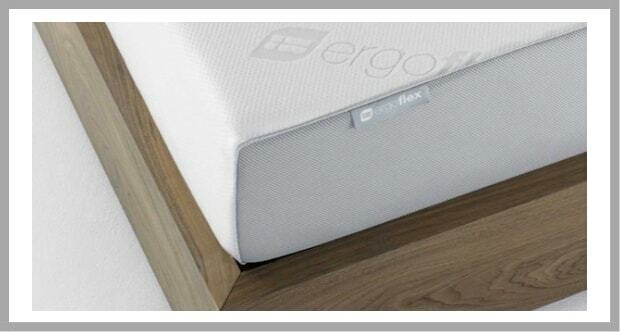 Your potential new best friend may just be the Ergoflex 5G Memory Foam Mattress. A great choice for those who suffer from neck, shoulder or back pain and for the seekers of a great night’s sleep. Offering orthopaedic pressure relief, alleviating your aches and pains after a long day. The memory foam mattress is temperature sensitive thanks to Ergoflex’s open cell foam technology known as Cool-Sleep. Your body temperature will be maintained by both the breathable TENCEL outer cover paired with the Cool-Sleep airflow layer. The mattress is naturally anti-allergenic making it friendly for those who suffer from allergies or asthma. It has also been recommended by back expert Dr Mark Craig and is used by many elite athletes. Dr Mark Craig mentions that the memory foam mattress can be used as one of the ways to manage back pain. All prices have the current promotion applied. Overall this is a great mattress choice. Our next memory foam mattress pick is the Melbourne based Hugo Sleep Mattress. This high quality mattress consists of 4 layers which complement each other quite well. Offering a cool, supportive and comfortable sleep. This is a favourable mattress by many. The mattress’s localised bounce feature isolates movement on the bed. So when someone else in the bed zigs, you won’t zag. All in all Hugo Sleep provides a great memory foam mattress and is well deserving of being a top choice. All prices include current promotions. Our 2019 review for the 5 best memory foam mattresses in Australia. How are you going with your mattress shopping and which mattress did you pick? Share your experiences and thoughts with us.